" Genealogy - Robert L. Kelly - Mark P. Lowrey - Pat Cleburne - P. W. Shearer - 45th Mississippi Infantry - Hinds County, Mississippi. 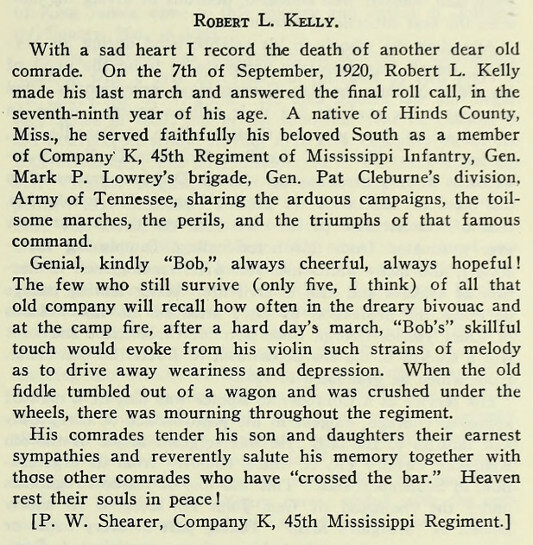 Obituary of Robert L. Kelly, Mississippi. SOURCE:Confederate Veteran Magazine, January, 1921.